Home Blogging Advice	Is Blogging Dead? Have you thought about starting a blog but think you have missed your chance? Do you worry that blogging is dying? Or that there are too many blogs and one more can’t succeed in a crowded marketplace? I have good news for you! Nothing could be further from the truth! I too worried about starting another blog especially because I have two dead blogs under my belt. Did the world need another blog talking about blogging and online business? But I realized something. 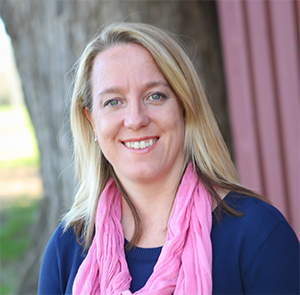 The world needs me and my unique voice to help other women in the world of online business. There are women out there that want my specific help. Does that sound arrogant or what?! Here’s the even better news. The same is true for you. The world needs you and your unique voice. You are going to put a blog out into the world that changes people’s lives and impacts them. You are going to help people and serve them every day. If you worry that it is too late to start a blog I promise you it isn’t. There are people waiting to hear what you have to say. Now more than ever people need authentic voices. I think the number one thing blogs do for people is build trust with a brand. It is harder than ever to get people to buy from your online business. People are more cautious when making purchases due to the economic crisis in the early 2000’s. This is especially true online. If you are blogging for your business you will be more successful than someone who skips blogging. Your followers will connect with you. They will join your email list and get to know you better. The more they take those actions, the more they trust you. That trust leads to more followers, page views and sales. Blogging is at the heart of all that. What is the first thing we do when we have a problem we need to solve– big or small? We go to Google. Or maybe even Pinterest. We know that we can get the answers to our problems on the internet. Technology is great that way isn’t it?! Many times people seek out blogs to get advice instead of going to a corporate website. This goes back to the trust factor. People trust real people far more than corporations. Corporations seem to have only the corporation’s best interests at heart. Bloggers are different. Bloggers work to help other people and to serve their audience. We know this and search out blogs that can help us with our problems. Parents go to parenting blogs to find solutions to sleep deprivation. Newlyweds seek out blogs on personal finance and how to combine two incomes. Baby Boomers look for travel blogs to find the best post-retirement vacation spot. We like to gather advice when we have problems or before we make decisions. Blogs are great for that! In a world where we are more connected than ever we feel more disconnected than we ever have. Social media can make us feel less then. Spending time with friends who are always on their phones makes us feel isolated. The general busyness of life makes us feel that we don’t have the time to connect. All these factors lead people to blogs. We like to find blogs that we can relate to. Blogs that touch us with their messages or help us in some way. When we do that we connect with that blogger and their followers. We comment on posts and we interact on the blogger’s Facebook page. We crave that connection with people who have the same interests as us. And we find that in the blogging community. Like advice, we are also searching the internet to learn more. We search the internet on how to make our blogs grow or what is the best way to teach a kid to tie their shoelaces. We look for education on God or how to better our financial situation. Any time we are looking for information on how to grow we hit the internet. Blogs play a huge role in education. People want to learn from others that have had the same experiences. We are looking for shortcuts for gaining knowledge. We are looking for the best tips we can find to better our lives. And we like to do this by learning from real people who have been there. Bloggers help educate people by being personal and sharing real life stories. I wonder if there weren’t blogs would there be Pinterest? Pinterest is made up of thousands of images from blog posts. We are a visual society and the better the image, the more likely we are going to click on that blog post. We have learned that Pinterest is another search engine like Google. Pinterest also delivers exactly what we are looking for about a topic. In fact I think Pinterest does it better. It gives us several good images (blog posts) for solutions to our questions. Without a doubt Pinterest has made blogs explode again. Pinterest has made blogs current and relevant in this social media world. Have you connected with me on Pinterest yet? I would love to connect with you! Let’s connect here! I think my favorite part about blogs is that they are generational. In fact that is what keeps them relevant today. Millennials like blogs because they don’t trust corporations. They saw the damage corporations and businesses did during the economic crisis. They are more likely to trust a blogger than a business about a topic they want to learn more about. Gen X’ers are raising kids, saving for retirement, and figuring out their careers. They flock to blogs for advice and for stories of people who have been there. It helps them not to feel so alone. It also gives them new ideas about things they didn’t learn in their upbringing. Baby Boomers came to the internet later than other generations. They love going to blogs to search new ideas about travel and retirement. They like to follow their favorite sports teams. They even look for advice on selling their house and downsizing. They look for bloggers who can give practical tips and advice for people of their generation. When you have three generations that rely on blogging you know the platform is not going anywhere any time soon! Now that you know blogs are alive and well it is time for you to jump in! You have a unique voice the world needs to hear. You have an audience that needs your advice and your expertise. New blogs are started everyday and your time to do it is now. The blogging community is generous in helping new bloggers so jump in and join us in the blogoshpere! What has been your experience with blogging? Has it helped to grow your business or brand? 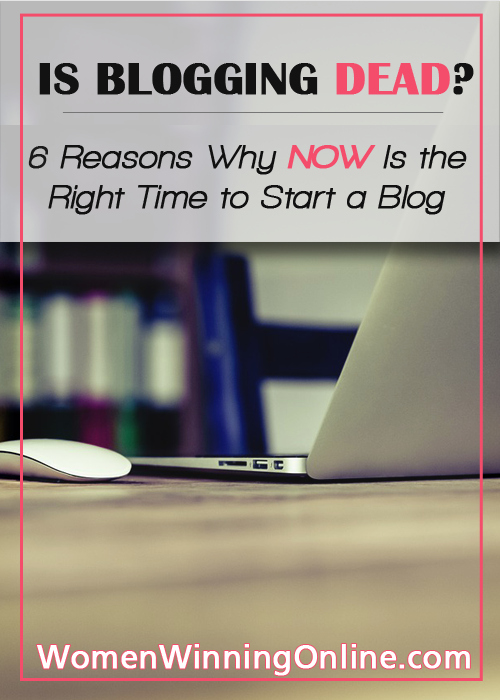 Or are you waiting to start a blog until the time is right? Please share your blogging experiences below. I would love to hear them and connect with you!